The footage from my award and letter of recognition from Supreme Master Ching Hai has finally aired on SMTV. It's really wonderful to have Master Ching Hai as a huge supporter of mine. 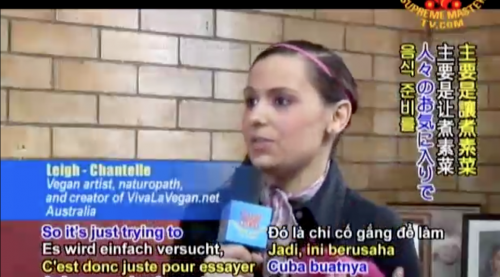 The video shows footage of the old version of vivalavegan.net as well as Green Earth Festival footage, my bedroom, my recycled clothing line and more.